Seattle artist Julie Foster looks forward to painting several murals in the small town of Cooperville, Washington. However, a secret from the past weighs on her conscience. Years ago, her Grandfather Ben was accused of embezzling from the Cooperville Bank, run by the powerful Linscott family. Although Ben’s guilt was never proven, the Linscotts have never forgotten or forgiven. Millie Linscott is Chairperson of the Murals Committee and the person who hired Julie, but if she finds out who Julie really is she will surely fire her. To make matters worse, Julie must fight her attraction to Millie’s grandson, Gregory. He doesn’t approve of her murals or the money being spent on them. Despite the obstacles, Julie forges ahead. Her ultimate challenge comes with the discovery that what happened in the past is far more than she ever imagined. “Well-written . . . fast-paced . . . highly recommended.” Romance Reviews Today. “An endearing and well-written romance. Highly recommended.” Love Romances. 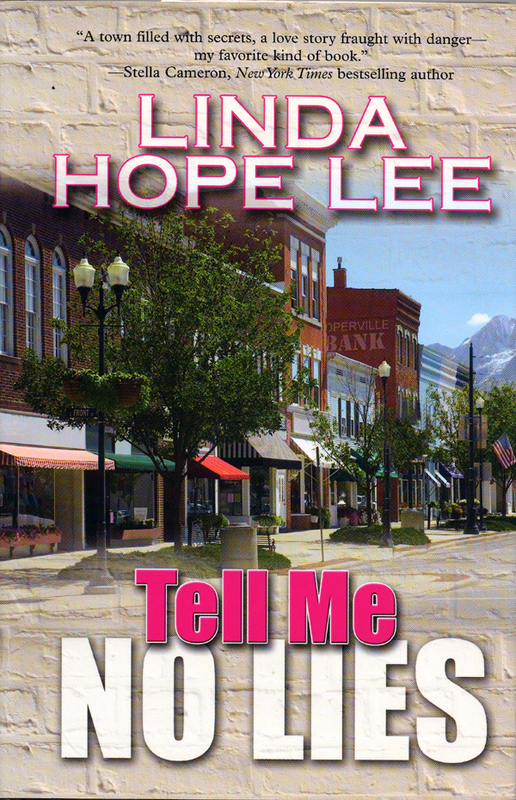 “Linda Hope Lee delivers another touching romance. Murals, family secrets, and mystery combine in this classic page-turner.” Molly Charles, author of Chasing Galahad. “A heartwarming romance with a hint of mystery that both intrigues and charms the reader.” Bridget Kraft, author of Fields of Gold.